This armless bankers chair from Office Star Products is ideal for any country or traditional institution style room or office setting. The Deluxe Armless Wood Bankers Desk Chair with Wood Seat affords you unadulterated comfort while working or resting. Seat height adjusts from 18.25"-22.5"H.
Warranted by OSP Designs. 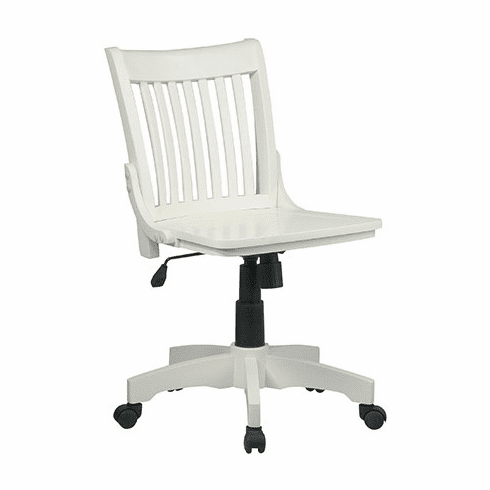 These armless bankers chairs normally ship in 2-3 business days from our CA warehouse.